Japan's fighter plane F-35 crashed in the Pacific Ocean - HailNewsUp.com provides latest news from India and the world. Japanese Army officials said that parts of the aircraft have been recovered during search operations in the sea, but the pilot of the aircraft is still missing. 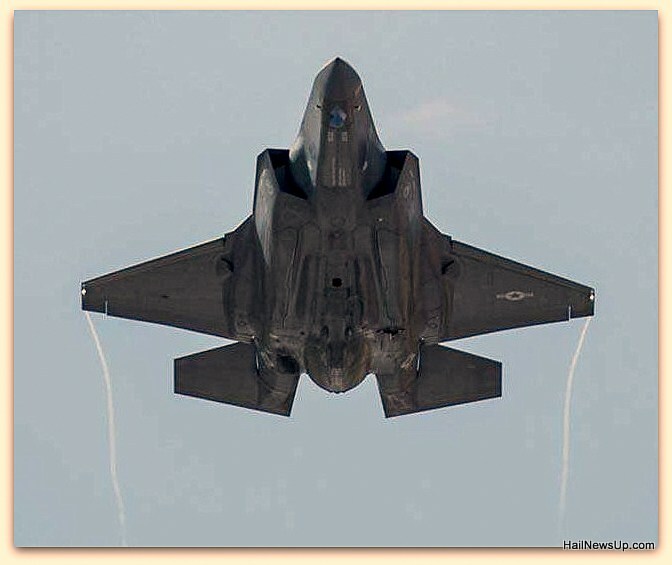 The rescue team of Japan's intelligence fighter aircraft F-35 Stealth Fighter has found a day after the accident. The plane had suddenly disappeared from the radar after flying over the Pacific Ocean on Tuesday. Japanese Army officials said that parts of the aircraft have been recovered during search operations in the sea, but the pilot of the aircraft is still missing. According to officials, this thing has not been revealed yet how the aircraft's aircraft with less than a year lost its contact with the radar and how it got crashed. Please tell that the F-35 fighter jet went missing on Tuesday evening at 7.27 pm, when it was flying 135 km east of the city of Misawa in northeast Japan. The plane's contact was broken after about 30 minutes after flying from Misawa Air Base. No problem was found before in the plane. According to the reports, the rescue team is currently trying to trace the missing 40-year-old pilot after the accident. Japan is deploying the F-35 stealth fighter in place of its old F-4 fighter aircraft, which is being valued at least $ 90 million. Japan's Defense Minister Takeshi Ivy said that the country has temporarily deployed its 12 F-35 fighters on the Mississauga Base.